Coach "Sam" was born in Bangkok, Thailand in 1939 during the Japanese occupation of that country in World War II. In 1951 he was sent to the United States by his father and graduated from Fishburne Military School in Waynesboro, Virginia. After high school he attended and wrestled for the Pennsylvania Military College and Ithaca College of New York. In 1960 he received a B.S. in health and physical education, with an additional 39 hours in mathematics from Stephen F. Austin University in Nacodoches, Texas. Later he was awarded a Lifetime Secondary Education Teaching Certification from the State of Texas. He became a naturalized United States citizen in 1972. After graduation Coach "Sam" taught at Crowley High school in 1966 and at MacArthur High School in Houston in 1967 and 1968. In August of 1969 he accepted a position at Jesuit High School in New Orleans, Louisiana as a teacher of mathematics (algebra, analysis, geometry and trigonometry), the head wrestling coach and later the chairman of physical education. At Jesuit "Sam's" teams won 18 Division I state championships and placed second in state nine times. He coached 75 individual state champions, three of which were honored as High School All-Americans. His teams also won, at one point, seven consecutive New Orleans City Championships. He was the Louisiana State Wrestling Tournament director for nine years. On the national level Coach "Sam" directed the USA-Wrestling Southwest Regional Junior Freestyle and Greco-Roman Tournaments in 1994-5 and 1999-2005 and was an official with the United States Wrestling Officials Association, from which he retired in 2003 with a category of "M1 - Exceptional." As an official with the International Federation of Associated Wrestling Styles (FILA) he retired in 2003 with a category of "FILA 1." If you talk about wrestling in Louisiana, one of the teams that will come up is the Jesuit High School Blue Jays of New Orleans. 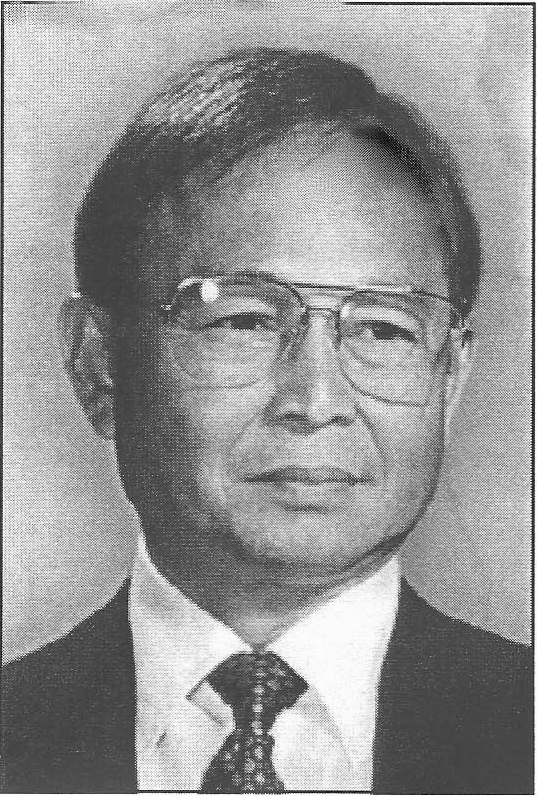 And the man behind that program for 33 years was Coach Surachai "Sam" Harnsongkram. He was a giant in the coaching and motivational fields. Coach Sam started coaching at Jesuit in 1969 and built a program that was equal to none. Under Coach Sam the Blue Jays have won 18 state wrestling championships, been runner-up seven times and their worst finish in a state championship was sixth place. There are founders in the sport in Louisiana: William Shriever, Brother Melchior and Dale Ketelsen, but in a more modern time Coach Sam is in a class by himself. He was always ahead of the game with technique and the ability to motivate all the while keeping the integrity of the sport foremost in his wrestling teams. Sam built a program at Jesuit with class and dedication to the sport. Coach Sam's teams have always been hard working, in shape, aggressive on their feet and good mat wrestlers, whether on top or on bottom. Over the span of 33 years, seldom has a Blue Jay been called for stalling or caught in a position with which he was not familiar. Sam's wrestlers always gave their best efforts on the mats, which was a tremendous complement to Sam and to his program. Coach Sam hosted the Casio-Shriever Tournament since 1971, a meet that is open to all schools and is named after Sam Casio and William B. Shriever who were instrumental in building wrestling in the New Orleans area. There is not anybody in the state that has put on more Kids, AAU or USA Wrestling tournaments than Coach Sam, and for that the wrestling community is thankful. His accomplishments have been recognized by his peers as he was selected into the National Wrestling Hall of Fame in Stillwater, Oklahoma in 1996 and then into the Louisiana High School Athletic Association Hall of Fame in 1997. He was also selected Division I State Coach of the Year 14 times. He has coached 81 individual state champions and five High School All-Americans. From 1988 through 1998 his teams won 11 consecutive Division I State titles. Coach Sam was a fierce competitor and very seldom was he outcoached or outworked. Almost every wrestler that was lucky enough to have been coached by Sam got a coach who cared about his wrestlers on and off the mats. There is so much more to Sam than just victories, championships and honors. There is something that I found over the years that made Sam a great coach, a good friend and an ambassador for the sport of wrestling in Louisiana and the country. Sam always kept the sport of wrestling first. Led the Jesuit High School Blue Jays to 18 Division I State Championships, including 11 in a row from 1988-1998.